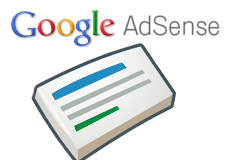 Google is not shy when it comes to testing new ad formats for Google Adsense. Most recently they have stepped up their expandable ads, added the scrollable ad arrows back to some ads and tested animated AdSense units. The one thing advertisers really really want are responsive ad units. That being said, Google is asking for feedback from publishers on which new ad formats and settings they would like to see Google try next. We're constantly working to bring you new ad formats and settings; a few examples include the new 300x600 ad size, the ability to select font settings for your ads, and enhanced text ads. We’d also like to hear your feedback and ideas: Which new ad formats or settings would you like to see in AdSense? If you have any feedback, join the Google+ thread.